Mr. Holman is the protege of the late designer Bill Whitten, who created stage costumes for many of Motown's greatest acts, including Diana Ross & The Supremes and the Jackson 5. Mr. Holman went on to design stage costumes for The Jacksons after they left Motown and signed with Epic Records. Thank you to Mr. Holman for sharing these exclusive images from this weekend's private event, organized by BJ, at Graff (Graffiti) Lab on Venice Blvd. in Los Angeles. I have a wonderful story for you and your viewers. It's of hope and inspiration and inspire children of all Ages! I presented a "Thriller" inspired "Glove of Love" award created by BJ (this special event-coordinator) to Ola Rae, and she signed my "Thriller" Poster. She said ... signing it was really special since she never does that! I am also gifting her with a poster! I also accepted an awarded for the late designer Bill Whitten and family. And while Stella Ruata, the original co-creator and beader of the original gloves, socks, military Jackets and costumes, was unable to attend, her granddaughter, Crystal, attended. Dr Cherlyn Lee also honored Reverent June Juliet Gatlin, and Latoya Jackson Michael Jackson's cousin represented the family. A special prayer was said and also sent out to Mr Joe Jackson from everyone! Artist Ken Matthews aka Brayden Bugazzi, created the most magnificent painting of Michael Jackson, listing all of the original designers and artisans (so they will not be forgotten), that helped create the original Jackson costumes, including the late Bill Whitten, Stella Ruata, Fabrizio, Gresia, Andre, Warren R. Caton, Enid Jackson (Jackie Jackson's ex-wife), Steven Loomis. Maggie, Ted Shell, and Bon Choix Gerard. Also, one original [Swarovski] lochrosen crystal (from the 1980's) was mounted inside the fingertip. The most memorable part of the night was seeing the performers -- one 4 years old -- and some of modest means, humble beginnings and with special needs, performing. It was so awesome to see them come together from around the world for this special event! Ola Rae looks good!! She appears lighter too? Nevertheless, still pretty tho. love some Michael J....ok thats all I got...slow morning eh'? Young people don't even know who MJ is but stay imitating things he did in the 80s. Sad time in this world. Ola Ray is still HOT! what is it with celeb women who haven't been in the spotlight for a while and then make an appearance in the most craziest wig from the back of their momma's closet?..Ola Ray. They look great, nice artwork. I'm so jealous of your smileys.The bastards wouldnt work for me when i tried to download them. That little car you posted below tickled me. I dont remember that one. I agree. However. Parents need to teach their children then. My generation didnt know anything about Marvin Gaye/whole Motown movement. And it was pre-internet. Each one teach one. *Mike was way active before the 80s. I have seen folks doing pre-80s Mike stuff. Namely pop locking and the robot. Which is decidely 70s. 57 and gorgeous she is. Sistahs we can always look fab at any age! In other news, I just hear Papa Joe Jackson was deathly ill with cancer. She is way lighter than she was in that video. Sis was straight brown skinned. hell....yeah.....ooooo....I'm gonna watch this video on the net now!!! This is one of my faves....thank you luv! another one bites the dust, she was a beautiful brown. This was a nice tribute to ursher in the anniversary of his death which I had a premonition of not so much that he was going to pass, but out of a severe heavy burden feeling that told me that I shouldn't go into work the next day that he actually died on. Out of the trinity, Whitney(Queen) Prince(Prince) and of course Michael(King) his death hit me the hardest I was unconsolable. I'd rather see coverage on this than the BET awards. I will go back and read, but where was it written it was a BET event? Is this the extent of the BET awards post ? Laid in the bed until 820, you was probably at WORK! CRIES. SO tired!!!!!!!!!!!!!!!!!!!!!!!!!!!!!!!!!
? Looks like 10 or less people were at his private only invited event. ????? Me too. You can tell the OG Rosebuds. Back then I used to get mad because I could read but not comment (join the party). I wasn't bright enough to login in without getting locked out and didn't have sense enough to create a new email address. Boy, did I hate wordpress. ? I was trying hard to be positive but I was thinking the same thing. Damn, Ola looks better now than she did then. Thanks NiNi...I can't see it..Then I checked my phone. Weird. Same here Fancy...I could only see it on my phone. I understand...that used to happen to me a lot. I can't really log in through Sandra's site any more for some reason, so l get in through a disqus link. When my niece was 3, (she's now 4) I heard her singing Going to Hollywood. We were like.....what is she singing? Turns out it was an MJ song I'd never heard. She is now obsessed with all things Michael Jackson, I guess she's an anomaly? This blog was like a secret organization. i couldn't figure out how to join so i emailed Sandra asking to be let in. She posted the join now link, i believe it was only available at a certain time of the day lol. I will always have a special place in my heart for Michael. Such a sweet soul. I wasn't ready to come. I leaving....before 5...but I want a nap. We have a two quiet rooms, but if I I go in their I may not come out for 2 hours. A lot of kids I know...know about him. 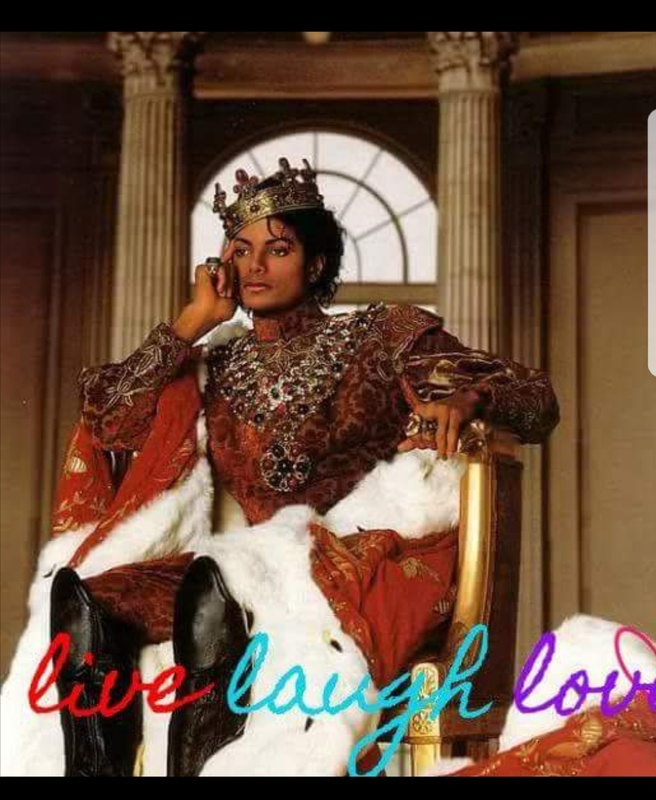 I dont know of one in my immediate circle who doesnt know who MJ is. She sure did, but some of the old girls were just mean & nasty for no reason. After Black Voices changed, i noticed some familar names that i had chatted with in the BV chatroom (im old) which made me want to come here. I thought it would be like old times. Boy was i wrong, some of those posters had just become down right nasty over the years. I I had to grow tough skin quick lol. Those were the good ole days, before Disqus. ? You are oh so right about this being a suspected secret org. ? I've also contacted her (on several different occasions). In my case I got nada. She didn't even acknowledge me. Apparently, she loved you more. ? I sawwy. I was overwhelmed by login requests back then. I would've let you in if I knew it was you. ? @justlooking . That is true but the info is still incorrect. Not private nor was his family involved. Anyhoo, I’d love a post on the BET awards, again. Thanks. Do ya'll still care about the EBT awards? ?? I watched 2 minutes before I turned the channel. There are no real superstars for the Black community to celebrate. I didn't watch it either nor am I the least bit interested and I love Black people...of my choosing. Not who the Caucasian powers that be tell me I should like. Yes I am talking about Donald Glover and that guy that still lives with his parents from the Wakanda movie among many others. I will watch the BET Hip Hop Awards though. Yes. The legend named Anita Baker please. Can’t wait to read comments. Thanks Sandra. I met you a few times in Atl. You use to take my picture quite often. Lol No problem. I'm here now. It was well worth the wait. ?? I'm not even up on his posthumous releases. Good for her. That song is hot too. He never lost it though he sounds exhausted on the track. I feel asleep but it's on my DVR. The good ole days I tell ya !!! I know who you talking about ...... I have had the same name since I came .... added my trademark cause demon bytches be catfishing chile smh ... But yeah I know !!! I watched it because of Anita Baker, Snoop Dog, and H.E.R. The majority was on some pseudo consciousness. It seemed so phony. Jamie fox it didn’t seem like they were feeling him. Was Ola always that light??? I didn't watch it I can't devote my energy to it. But I come here for the condensed version. Ol' girl said if Michael can turn white, so can I!! Yeah I think she's always been this light. Makeup and vide photography was atrocious in the 80's. Okay, thank you. I'm 37 so I was a little girl back then lol. Me too... we're around the same age ? Naw, she wasn’t. I may be telling a bit of my age, but she was a pretty caramel color in those “Classy Curl” commercials from the late 70’s or early 80’s.